1. 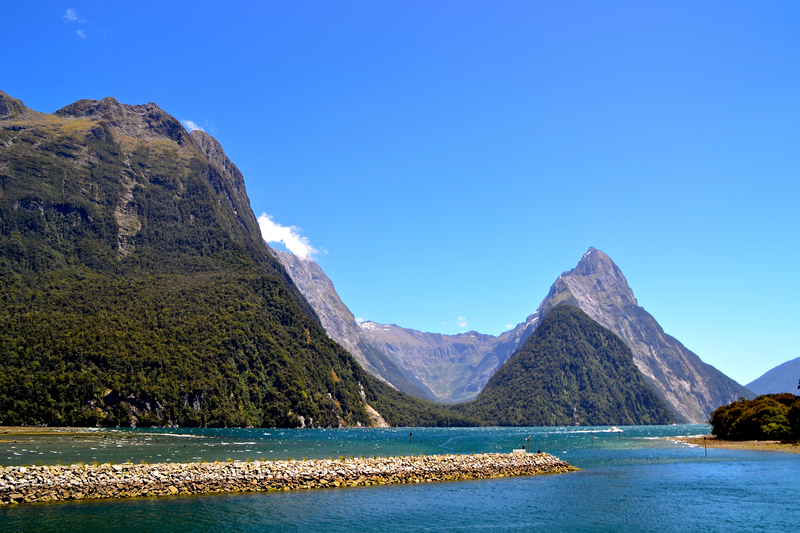 The Milford Sound is located on the southern west coast of the South Island of New Zealand. 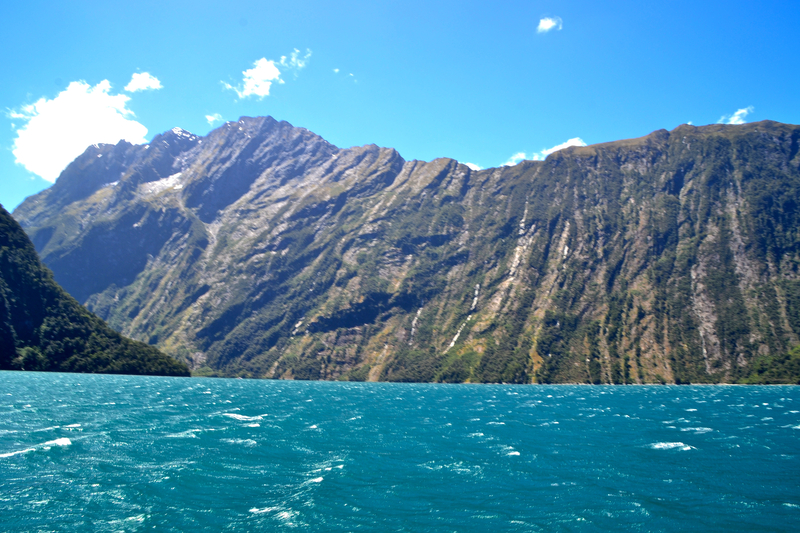 It is a Fiord that has been carved out by a receding glacier. 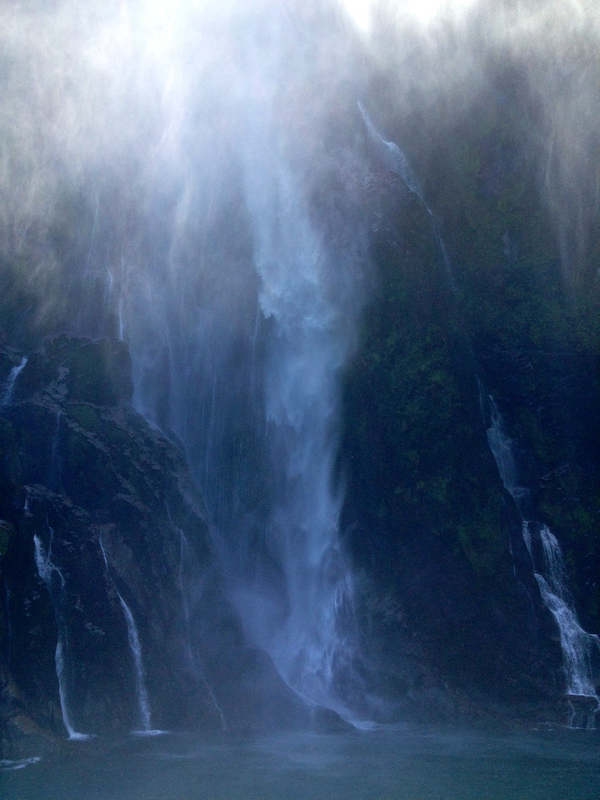 This is one of the only sounds in the world that is actually accessible by car. Pro: it is easy to get to. 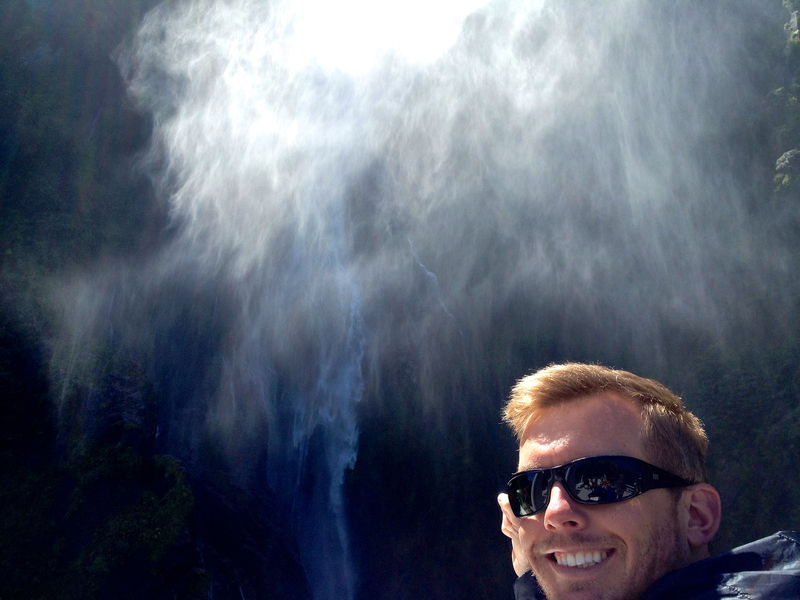 Con: it is easy to get to (more tourists, less nature). 2. 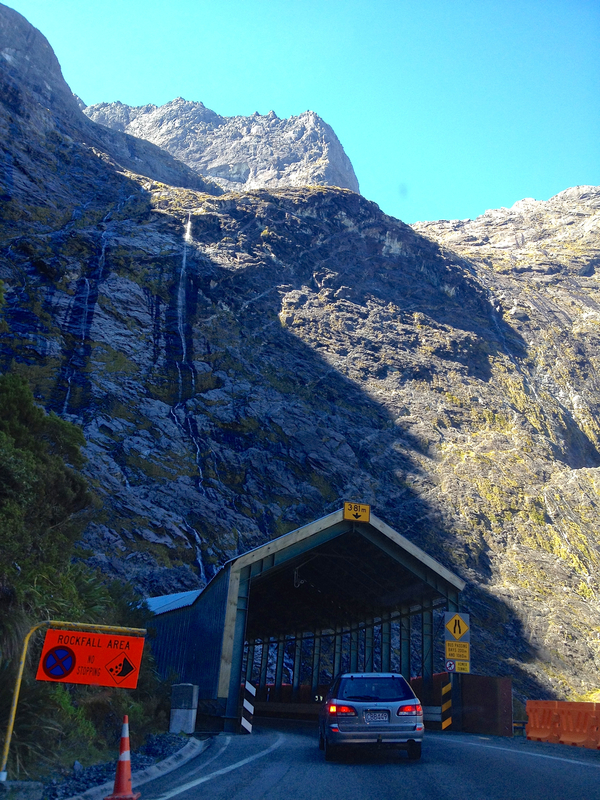 It’s approximately a 4 hour drive from Queenstown and just about 2 hours from Te Anu. 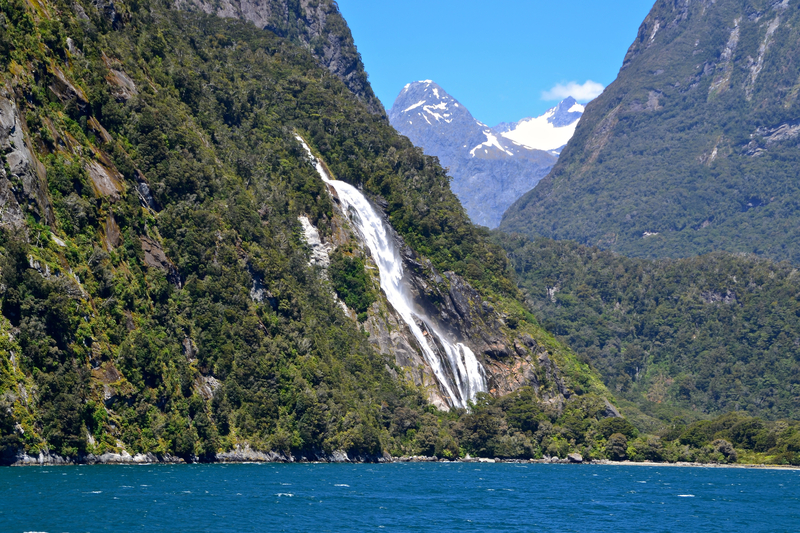 It is possible to do a day trip to the Milford sound from Queenstown if you are short on time and still want to visit the Milford Sound. Most companies offer a day trip option with transportation via coach bus to and from the Sound. Or if you have your own car, you can make the trip on your own. 3. 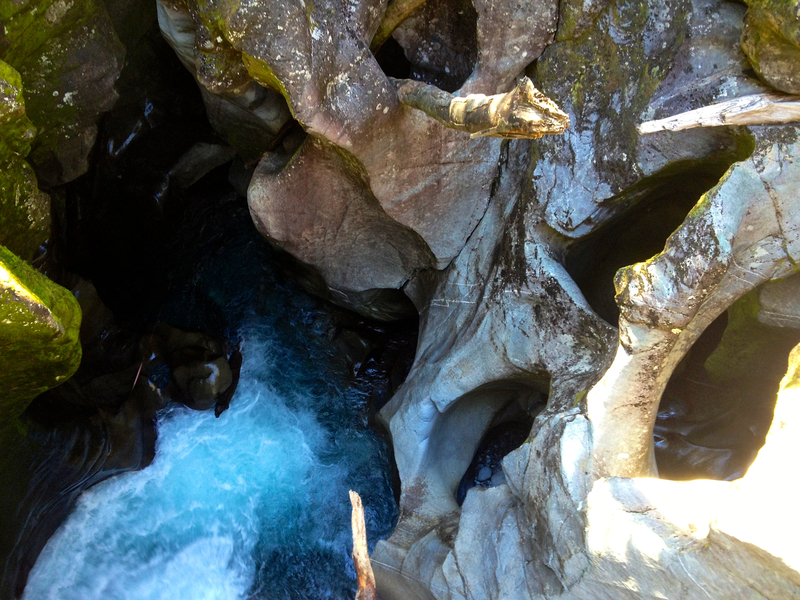 It is an incredibly gorgeous place to experience, despite the fact that it is becoming commercialized from easy access. The drive to the sound is incredible as well. 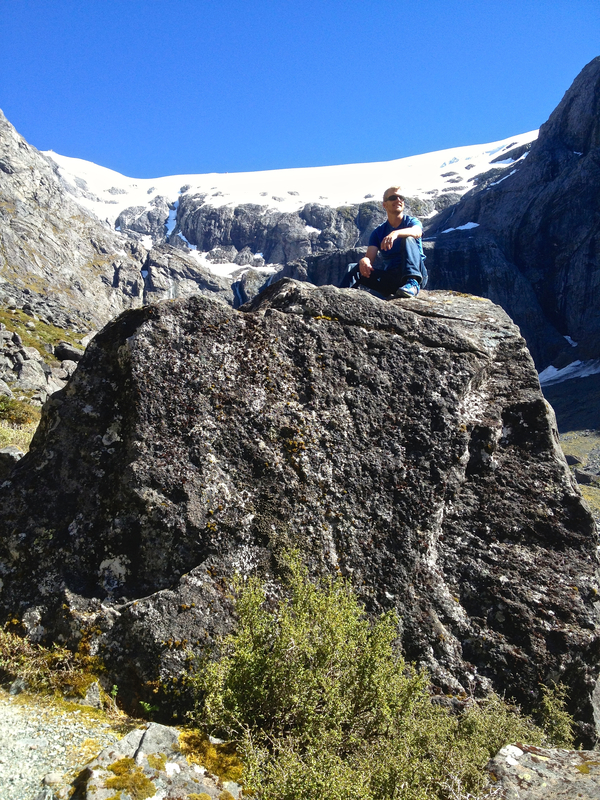 It has a number of stops including historical ones, places to hike to, and few other sites with stunning vistas (i.e. 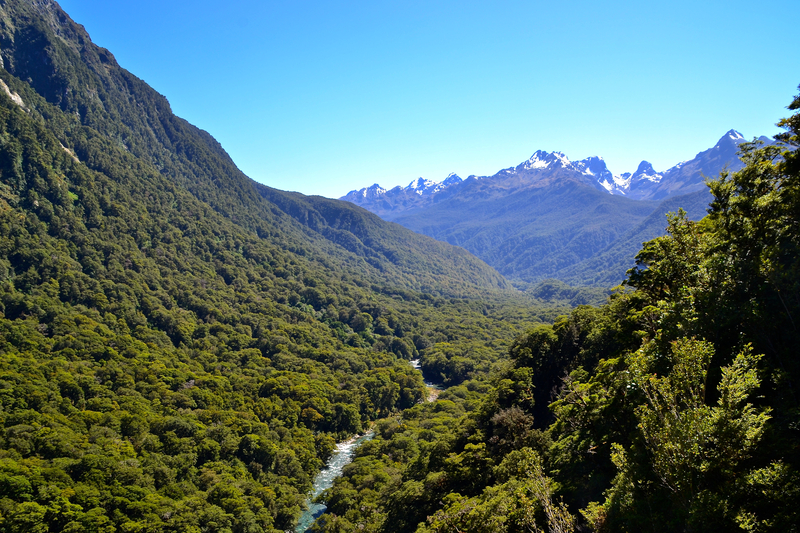 the Chasm, Homer Tunnel, Pop’s Lookout, Mirror Lakes, and Elington Valley to name a few). 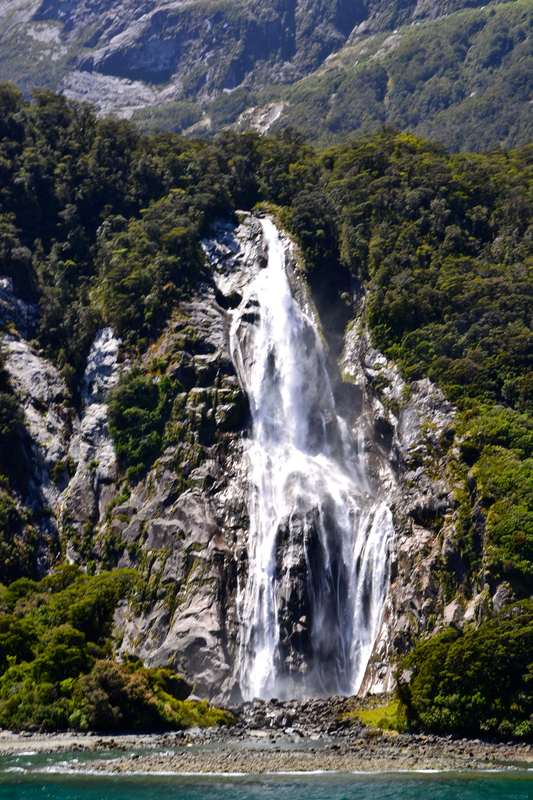 I definitely recommend stopping to stretch your legs to visit some of these along the way. 4. There is lodging available in the sound. Albeit limited, it can be affordable. 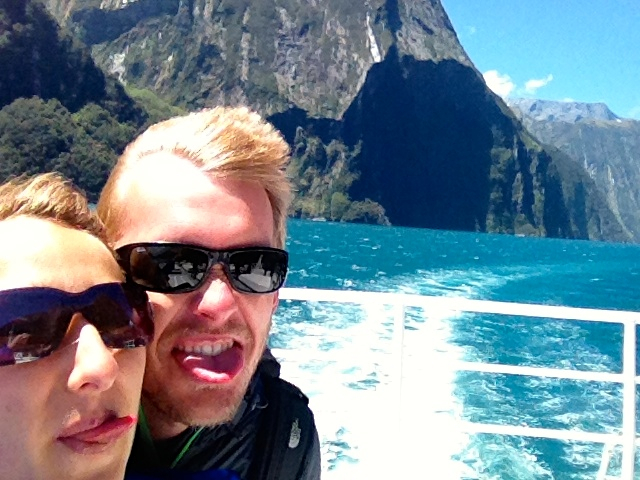 We stayed at the Milford Sound Lodge, which offers a variety of types of accommodation from camping sites to shared rooms or private chalets. 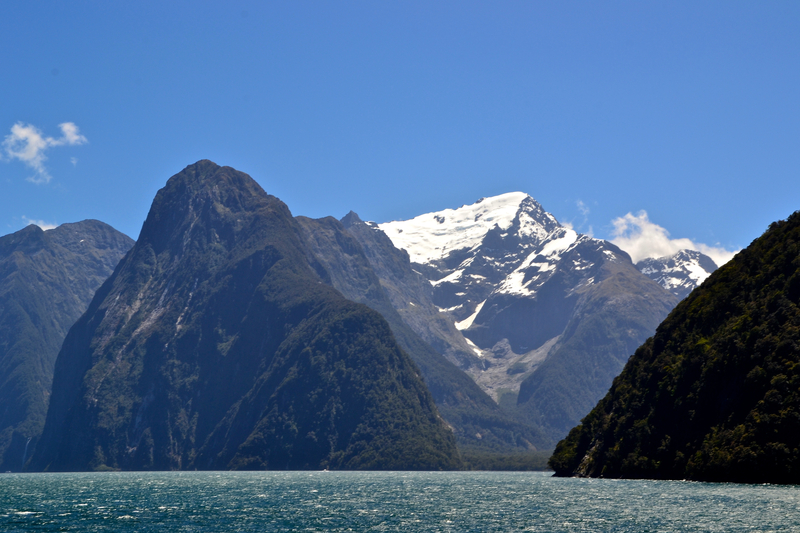 If you plan to stay in the Milford Sound, I would book reservations as soon as you can because it seems to fill up fast, and the likelihood of getting a day of accommodation in the area is most likely slim to none. Trust me, you don’t want to be tired and driving the windy road back in the dark if you’re not prepared. There is a place to stay in Knob’s Flat (about 54 KM from the sound) or there are campgrounds along the road if you do happen to have a camper van or would like to tent camp. A final option would be to do an overnight cruise with Real Journeys, which seems pretty awesome, but definitely not for a small budget. 5. There are dining options available in the area, but there are only a few, and they are pretty expensive for what you get. 6. Be warned! There is not a real grocery store in the sound!! The lodge we stayed in had a small store with some essentials as well as a cafe, but if you plan to cook your own food to save money or eat well, buy it on the road in (i.e. Queenstown or Te Anu, etc.). 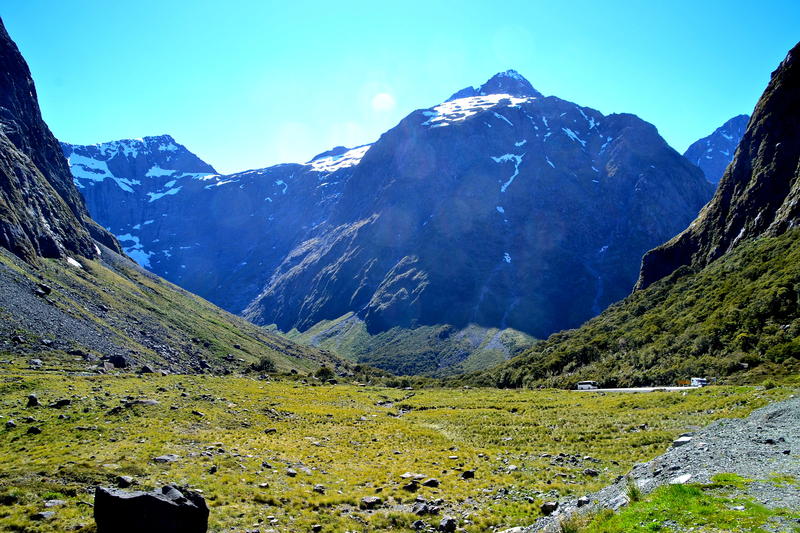 We made the mistake of being low on food after hiking the Routeburn, so we had no choice but to eat out. 7. 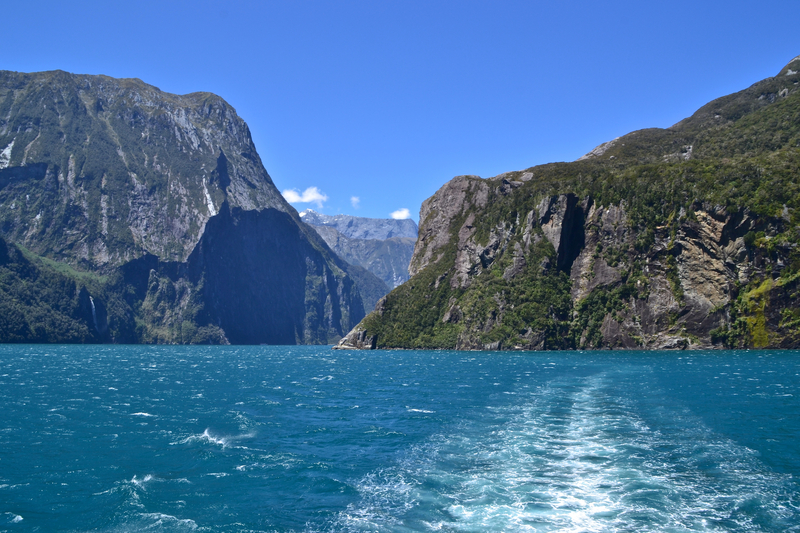 The day cruises through the Milford Sound are stunning, but not the highest quality in my opinion (guess you’re paying for the scenery!) The cruise companies seem like they have a “ship them in and ship them out” mentality. We went with the Jucy Cruise because we rented a Jucy car, so one of us went for free. It seemed worth the savings at the time. I think we would have had a better experience on a smaller/less commercialized boat. 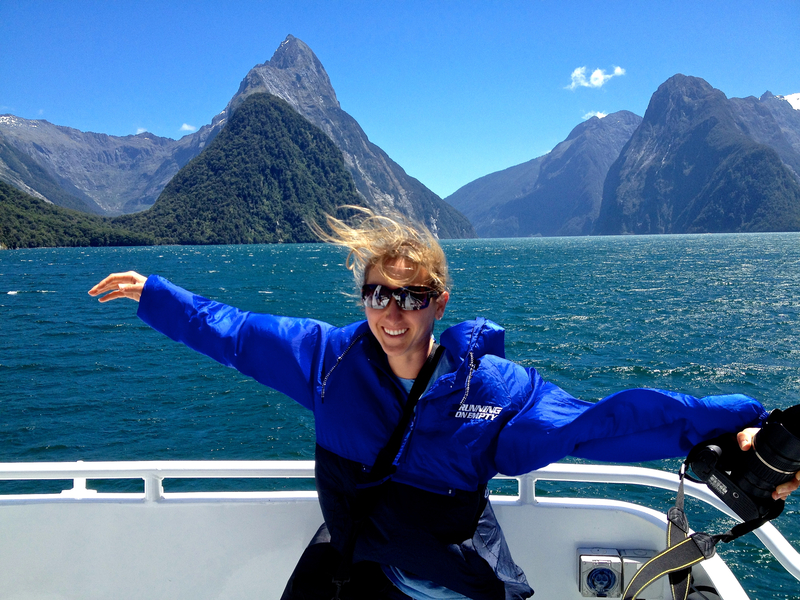 A company worth checking out for a smaller boat is Mitre Peak Cruises. 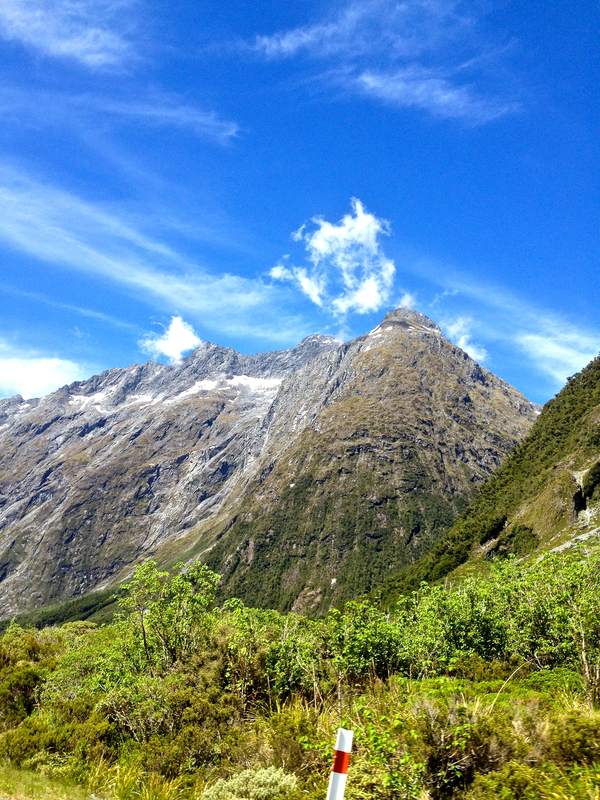 Nonetheless, stunning scenery! 8. If it’s in your budget, opt to Kayak and hike or a combination of the two to get a potentially better experience. Although kayaking is a bit expensive, it looked awesome. We didn’t have the time (or room in the budget) to do this, but I would have loved to. 9. Pick the time of your cruise wisely. The weather and time of day may have an effect on your experience because the conditions and presence of wildlife changes based on these variables. Apparently the sound is stunning in the rain as well as sunshine, so don’t be discouraged if the weather isn’t perfect. Also, the cruises early in the morning or later in the day are probably the best, as they tend to be less crowded from day trippers. 10. Keep an eye on the weather before you actually go, so you know what to expect. 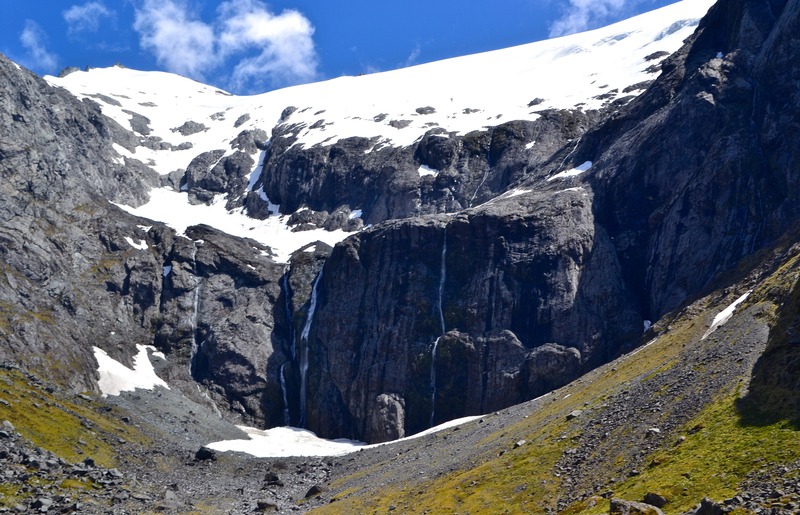 This is one of the wettest areas in the world, and the weather conditions can change quickly. That said, always carry rain gear and something to keep you warm in case it gets really windy and/or cold. 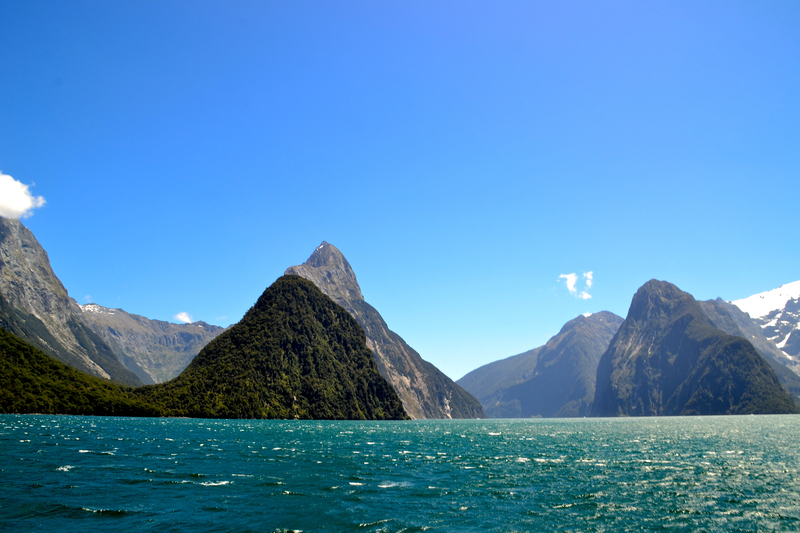 Going to New Zealand and debating between visiting the Milford Sound or the Doubtful Sound? 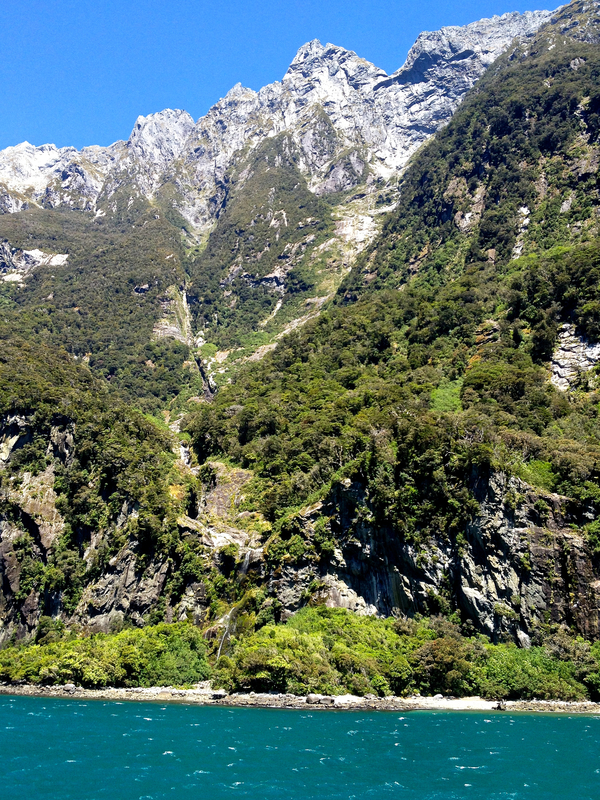 Very briefly, the Doubtful Sound that has significantly fewer visitors and is equally as incredibly beautiful as the Milford Sound. However, it is a bit harder to get to, and not worth the day trip (too much traveling time). 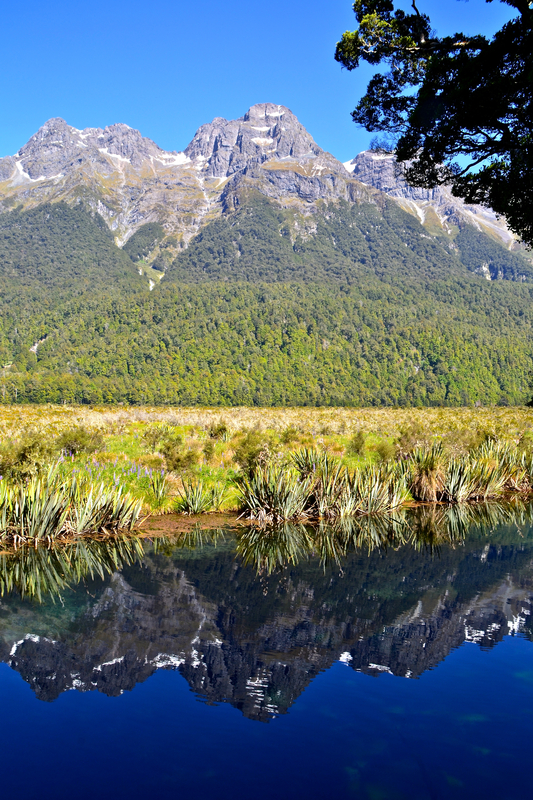 It is less populated, more remote, and more of a wilderness experience. 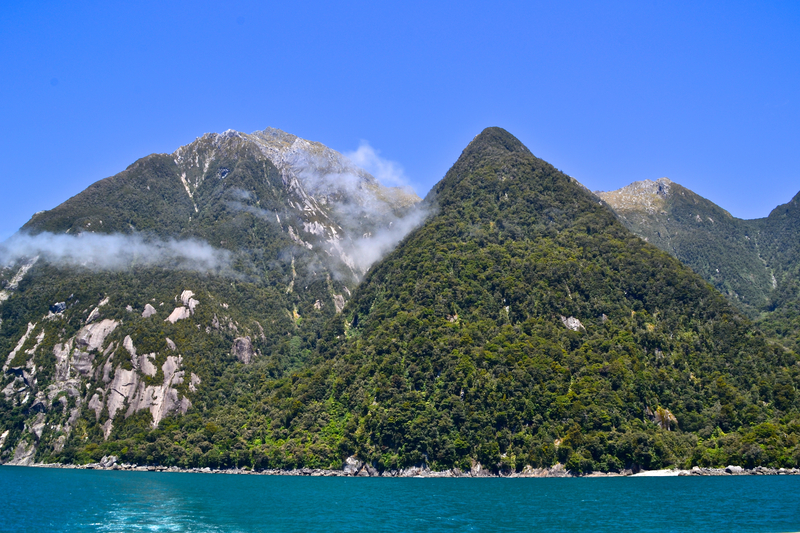 If that sounds like your cup of tea, you have an extra few days, and extra room the in the budget, an overnight cruise on the Doubtful Sound would be incredible. 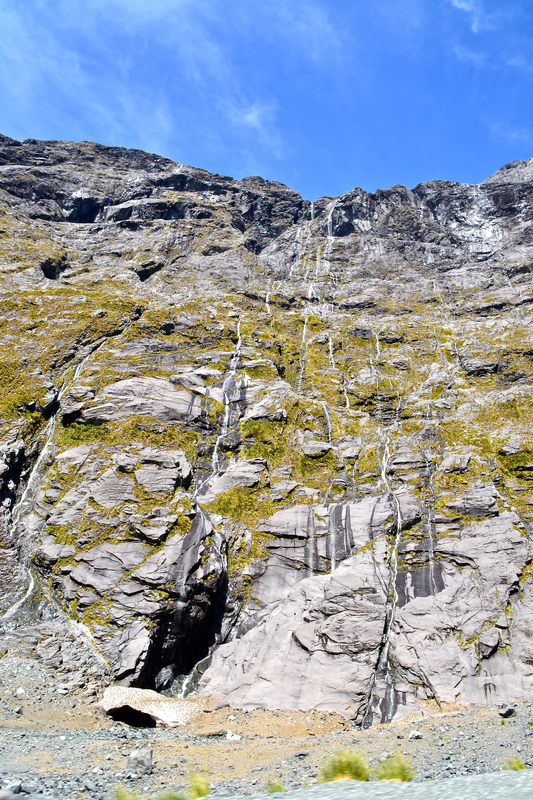 Finally, if you have the time, and would prefer to explore the Milford Sound in depth by foot, I would highly recommend doing the Milford Track. 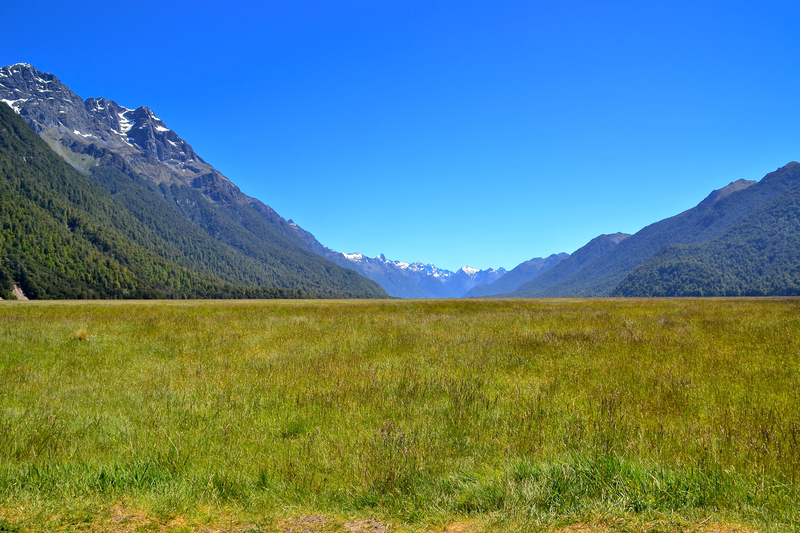 It’s one of the most famous and popular in New Zealand! We did not personally experience it due to time constraints, but that’s just a reason to go back and visit this amazing country! Hi! YOUR PICTURES ARE AMAZING! 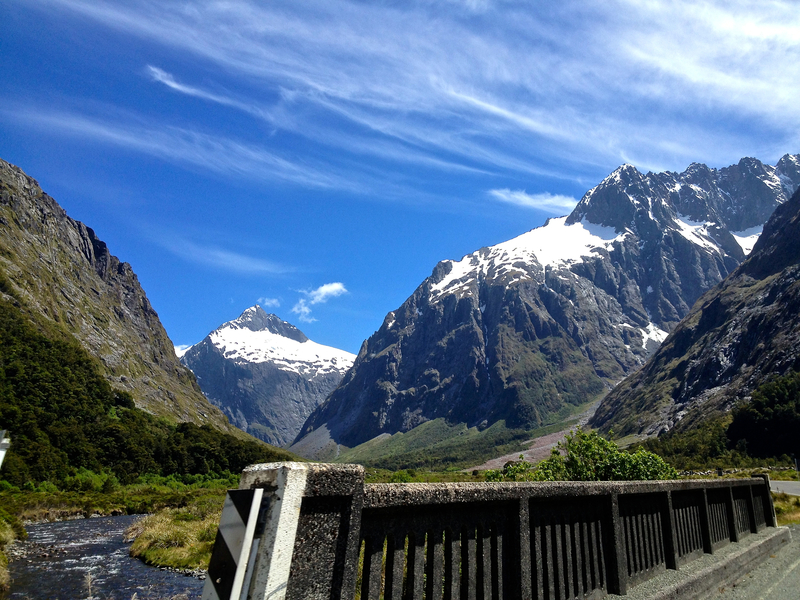 I’m looking to go to Milford Sound where the weather is similar to your pictures.. may I ask when did you go? Thanks!